However bad it is, there is professional help at hand. Just put in a call to the professional cleaners, Apple Blossom. 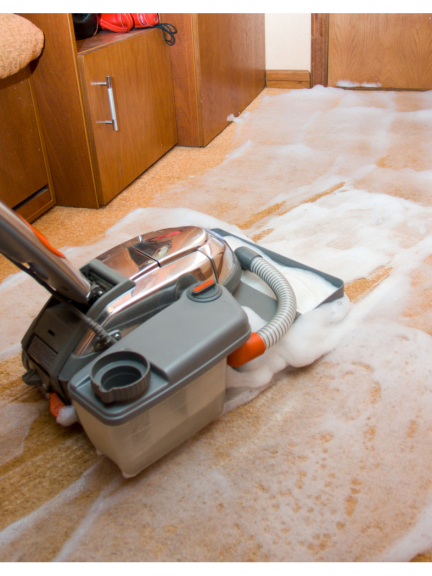 They can help you deal with everything from the first stages of the clearance of dirty water and sewage to putting the final sparkle on your cleaned-up and fully dried-out property. When you see the TV pictures of flooded homes and businesses you wonder how the owners are going to manage the clean-up from all that devastation. When it’s your own place, home or business, the feeling of helplessness can be overwhelming. But help is not far away. Professional cleaners Apple Blossom can help from start to finish. The family-run company provides first class commercial cleaning services to public and private sector clients across Cardigan & Teifi Valley, Pembrokeshire and Carmarthenshire. The company was started by Colin and Linda Wilshaw in 1996 and has earned an excellent reputation -- because they invest in training and recruiting excellent staff who share the company ethos. Apple Blossom Cleaning Services Ltd offer a wide range of services for all kinds of premises such as council offices, doctors' surgeries and other business premises, as well as private homes.